The Business class consists of 6 seats (in our airbus A321) & 14 seats (in our airbus A320) that provide plenty of space with reclining comfort on your flight. The passenger is treated to a revitalizing welcome juice and snack, followed by options of starters accompanied by a glass of refreshing drink. The main entrée consists of a variety of choices which is presented and placed on table linen and cutlery. 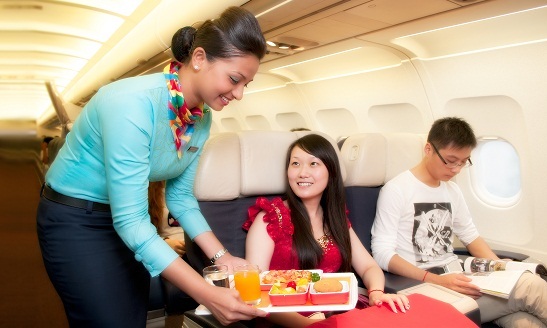 In addition to the amazing dining menu, the in-flight entertainment ensures that your journey is enjoyable.